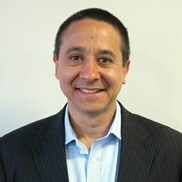 My good friend and fellow IBMer Guy Stephens (@Guy1067) is well known as a pioneer in the social customer care space, having been involved in the early days of social while at Carphone Warehouse. I was delighted to read that the has just released a collection of the views from 16 leaders in the social customer care space. You should download the report and set aside some time to read it. Guy has assembled an amazing mix of views, from Dave Carroll of United Breaks Guitars fame, through to Frank Eliason formerly of @ComcastCares. What is interesting is that while many of the contributors have founded, and lived through the early days of social customer care, many of them suggest there is still a long way to go for most companies. What I am seeing as I speak to IBM clients from some of the world’s most recognized companies is many of them have much to learn on how to truly provide excellent social customer care. Social Customer Care in my opinion needs to get out of the marketing department and become integrated into all parts of the business. An Airline that receives a tweet about a lost bag should not have that handled by the marketing team, but instead it should be passed direct (triaged automatically using smart analytics) to the baggage team for action. Even in recent weeks, I have interacted via social, email, phone and online with a well-known organisation that appears to be doing social “well”. I can report from a consumer perspective that every process I encountered was broken, and only when I spoke to a senior executive at the company by phone this week (bypassing all the protocols and reaching out to the head of social via a DM) did I have any real comfort that the issue I was experiencing was being addressed. 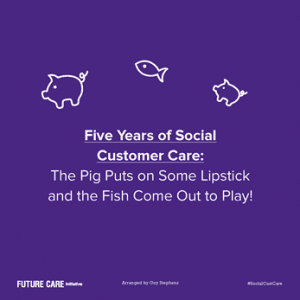 I still think that social customer care has a long way to go, and as Guy asks in his piece at the end of the report – “What will social customer care look like in 5 years’ time”. Download the report now! It is one of the best pieces of work I have seen on this topic yet.